The things that you can’t bring into Disney World theme parks. 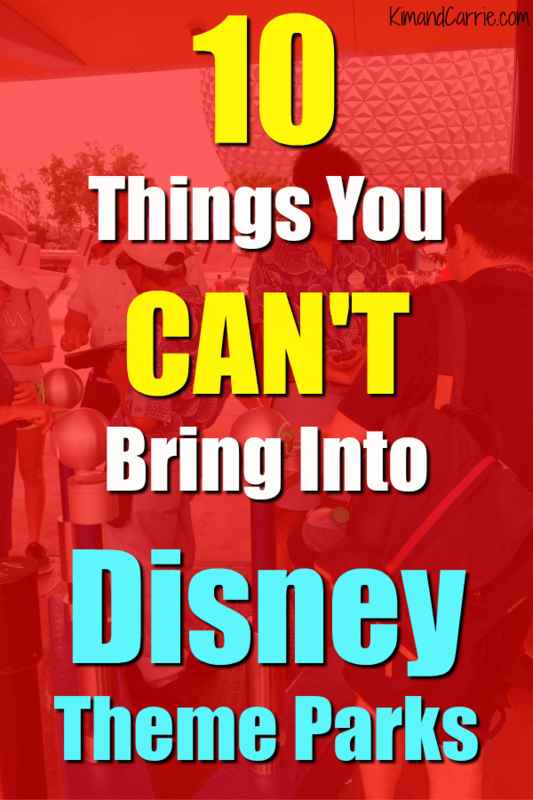 Did you know there is a list of things you can’t bring into Disney theme parks? Walt Disney World theme parks have security check points to scour backpacks, bags and strollers for banned items. But what things are they looking for? 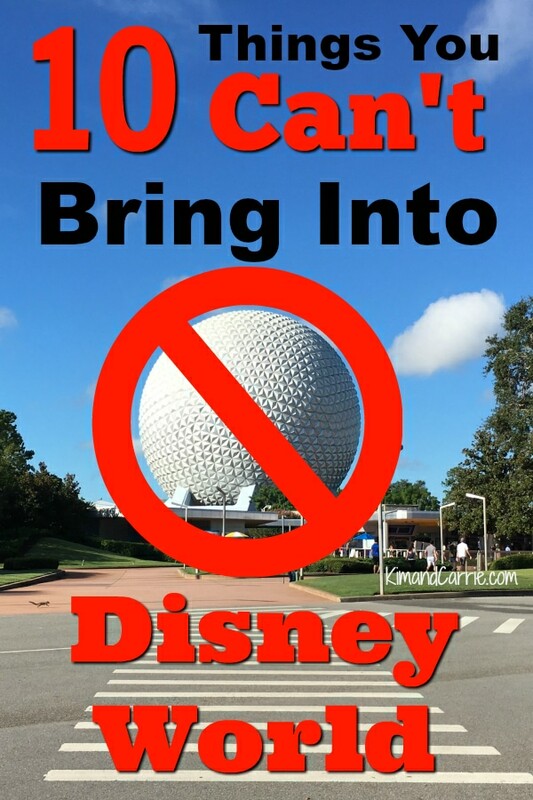 In extreme cases, such as Disney’s Animal Kingdom, you aren’t allowed to bring in a balloon. This is for the animal’s welfare. Disney does allow you to check it in before you enter and reclaim it as you leave. Not every theme park has this ban, obviously. But there is a little-known list of things that you can’t bring into Disney World theme parks that might not be obvious to everyone. Especially first time visitors. So don’t pack the following 10 items that are banned from Disney theme parks. 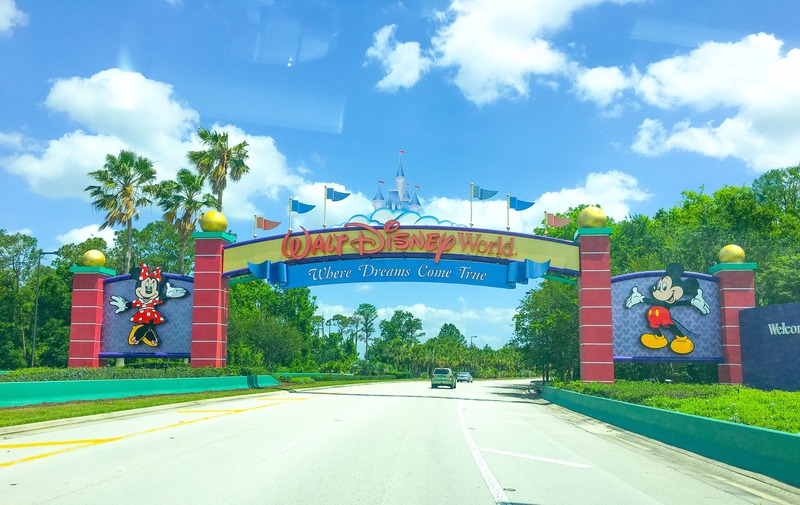 Keeping this list of things you can’t bring into Disney (print it out or Pin It to Pinterest) will save yourself hassle and time when you visit Disney theme parks. Most people make this assumption. While Walt Disney World definitely has been encouraging alcoholic consumption in its parks with all of the new bars and specialty cocktails, they don’t want you to bring in a case of beer. You cannot bring alcohol into Disney theme parks. Even if the contents are not alcohol, glass containers themselves are considered a danger and will not pass a security check. However, glass baby food jars and glass baby bottles are allowed. This one is probably the most obvious. Guns are clearly forbidden from bringing into the parks (even toy guns, see below). But knives are banned, as well. Sometimes guests are often found mistakenly carrying knives in their pockets, such as utility knives. Even a toy, if it looks like a real weapon, will not be allowed through security. Toy guns, toy knives, toy grenades -anything that could possibly resemble an actual weapon is banned from Disney theme parks. This is to avoid any potential confusion of what is real and what is not. With certain special events, exceptions do apply, but in general, Disney does not want people in the parks looking like they are an official Disney character. Even on special nights like Mickey’s Not-So-Scary Halloween party there are certain guidelines you have to follow. Here’s the list of rules and costume guidelines year round. It would be so easy if you could just fill a suitcase with kid’s toys, changes of clothes, bottles of water, snacks, etc. Right? Well, even though it would be convenient, luggage is not allowed to be dragged through the theme parks. Backpacks are totally allowed. As are purses, tote bags and other larger bags that you carry. Otherwise those security checks would be kind of awkward. 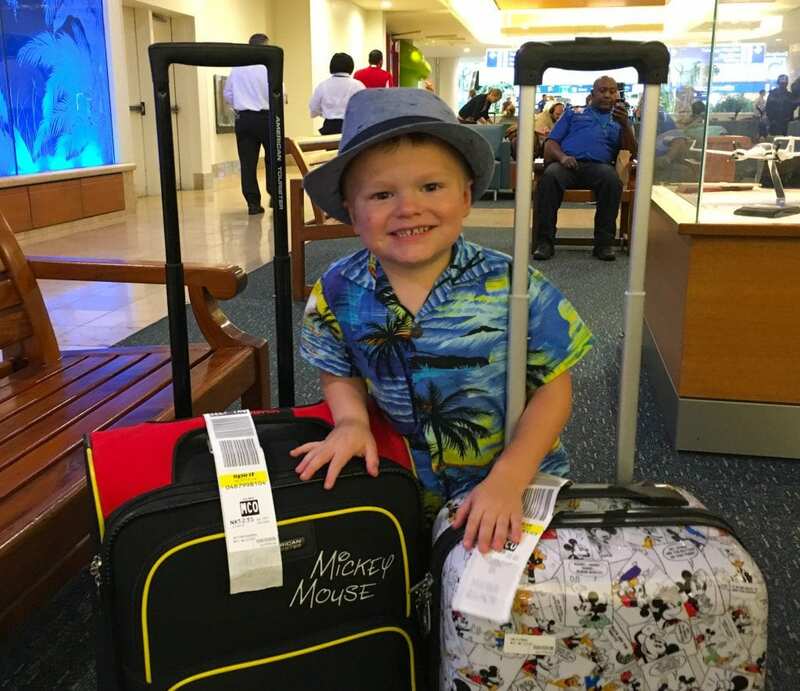 Actual luggage will need to be checked in at your hotel, before you head to the theme parks. Though we’ve recently seen people dragging luggage at Disney Springs, so it must be allowed there. Of course, someone was also walking their dog at Disney Springs without any type of service animal vest, so who knows? Any kind of skating in Disney theme parks is not permitted. Skate boards are banned in Disney World parks. And don’t try to bring in a toy scooter so that your kids don’t have to walk all day. It won’t be allowed through security. Back when selfie-sticks first came on the scene, guests wielded selfie sticks through crowds at Disney theme parks. More than once, I was almost struck by a selfie stick being whirled around for someone trying to get the perfect Cinderella Castle shot. So, yes, for a few months Walt Disney World had no official rules on banning selfie sticks. Thankfully they soon changed their mind. Selfie sticks are definitely banned from Walt Disney World theme parks. So are some other photography equipment, too. A large tripod is definitely going to be stopped at Disney security. They don’t want you setting up a professional photo shoot in the middle of the theme park and stopping traffic. However, smaller table-top tripods, like this one, are allowed. Which is great if you can find a place to set up a selfie, or you want some stabilization on your camera while walking or on rides. Ever wonder why you never see a drone capturing sweet images of the Disney theme parks? How cool would that be? That’s because drones and other remote controlled devices are all prohibited. If you have anything RC in your backpack, it will not pass security. Can you imagine people trying to fly a drone above a Main Street, U.S.A. towards Cinderella Castle? And then the drone falling on someone’s head? Last but not least, the biggest heartbreak of all is the banned fold-out chair. You’ve probably suspected as much, or everybody would be camped out on Main Street, U.S.A. in a comfortable chair, watching the parade, or the fireworks. Unfortunately, it’s not practical. No matter how desperately you want to sit with your kids or your elderly parents who desperately need a break from standing on their feet. Canes that can fold into a small stool are allowed for those with medical needs.